An engraving of Sir James Phillip Kay-Shuttleworth published around 1849 is the earliest known example made from a photograph taken by Charles Allen Du Val. At that time, photography was considered as being at one with painting. Regarded as comparable with drawing, photographs may have been used by Du Val as a basis for his painting, as they were by his better-known younger protégé Atkinson Grimshaw. By 1860 the carte-de-visite photograph, invented in France, had arrived in England, and Charles Allen Du Val quickly took up this new form. Cartes-de-visite appeared under the name of his firm C.A. Du Val & Co. He may already have started trading under that name before the 1860s. Perhaps his wife Elizabeth had joined him in the enterprise, as she too was an artist. More probably he formed the firm in about 1860 when his eldest son Charles was in his twenties. Although Charles Allen Du Val took a definite interest in it, the firm was actually managed by his son Charles and by his son-in-law Thomas George Whaite who married Du Val’s daughter Elizabeth Ellen in 1864. In the 1860s collecting carte-de-visites became extremely popular, and was called “cardomania”. Many were produced by the firm of C.A. Du Val & Co from their premises at 14 Exchange Street, and later from Mansfield Chambers in the very prestigious St Ann’s Square in Manchester, to which the firm had moved by 1872. Type A is an early type, the image being still similar to Du Val portraits and engravings made before 1860. Type B is an early example of the “palette” back. A very rare instance where the subject is named on the front of the carte. In this instance he was Richard Ansell RA (1). In Type C the sitter is named on the back of the carte, as occasionally happened. 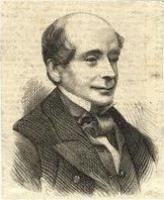 In this example the photograph is of Monsieur Lefevre. Type D. Cartes-de-visite photographs produced by the firm were also sold through agents. In this example the nearby bookseller J. Haycraft of 55 Market Street has pasted his own label over the address. The name and logo of C.A. Du Val & Co remain prominent however! Type E shows a later design of the back introduced in about 1870. Interestingly it still incorporated the artist's palette design, as though to maintain the early link between painting and photography. Type F bears a red-printed sticker as the firm had moved to their more prestigious premises in the early 1870s. C.A. Du Val & Co remained trading from the address in St. Ann's Square even after the death of the founder in 1872, and after his son Charles Duval had started his own business. Type G is an example of the monogram back introduced in the later 1870s. This example was printed in Paris, and is so inscribed, although probably all of this type of back were printed there. Type H is a strange variation of the monogram back, with the essential details of the firm almost invisible. Probably introduced in the late 1860s. Rare, presumably because it was commercially unsuccessful. (1) Richard Ansdell RA (1815-1885) was born in Liverpool. He specialised in painting animal subjects. In the 1840s he produced Highland paintings in the style of Landseer. After travelling in Spain in 1856-1857 he painted many Spanish landscapes and other subjects.